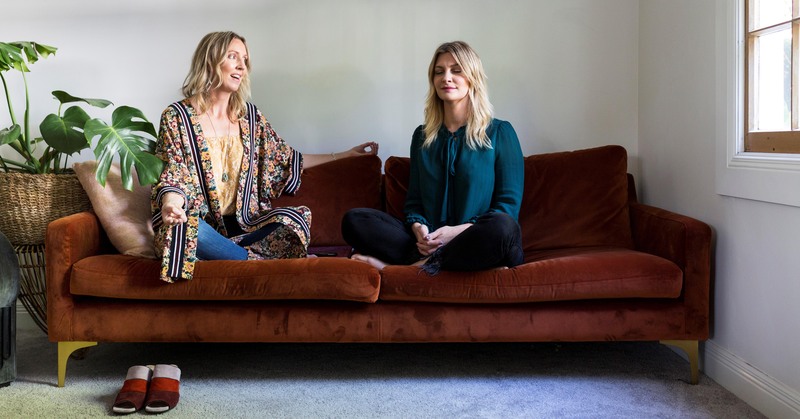 When people connect with visionary entrepreneur, lightworker Justine Jamieson, magic happens! Justine’s superpower is illuminating people to find and live their highest purpose in work, love and play. Whether it’s her dynamic weekly guided meditation journeys held at The Workshop, or her high vibe branding identity coaching within her business Lustre Collective, Justine brings effortless style, grace, wit, charm and her effervescent lightness of being - along with her gorgeous staccato giggle - to elevate everyone within her dazzling sphere. Justine’s unique insights and ability to cultivate clarity in even the murkiest of waters empowers clients, friends and everyone captivated by Justine’s aura to connect their own dots to create the life they deserve and create a beautiful world. It’s a powerful formula, proven successful after thorough road testing by Justine herself. While working more than 80 hours a week in the pressure cooker magazine industry, simultaneously managing the magazine and enjoying life’s diversions at parties that comes hand in hand in the glossy world, Justine’s life hit crisis point. Justine’s fiercely entrepreneurial spirit began as a small blonde curly-haired girl sitting all day at her roadside stall in Canterbury’s idyllic Purau Bay on Banks Peninsula selling her humble wares to the two (“if that!”) cars that passed by each hour. But an idyllic childhood it was not. Trying to be a good girl, Justine was compelled to make, create and sell, because she felt that money in the family of five was tight due to her abusive father’s addiction to gambling. “I was so determined,” she explains. “I knew I had to make money. My mother had to create for us too, our clothes, furniture, food, whatever we needed she was extremely creative from growing up in an entrepreneurial family and I was in awe of her. Our family did have a real lack mentality,” she says, shuddering as she recalls rabbit stew “made from rabbits my father brought home”. This overachieving student carried her strong work ethic into her teens and beyond. “I worked my arse off,” Justine admits. She maintained four part time jobs, represented Canterbury in basketball (“Shooting guard; smashed it from the three-point line!”) she laughs, completed a Diploma in Fashion Design, then rapidly accelerated from clothing store manager to senior manager and merchandiser for various high street fashion brands - “I called myself a professional clothes folder, I would get wild internally at customers ruining my lines” she laughs. A move to Nelson “for love” saw Justine embark at breakneck speed into a multifaceted career in newspaper advertising, then with the addition of digital at stuff.co.nz. Justine’s big name clients adored her creativity ideas and she smashed top sales person and competition month after month. She then moved on to Marketing manager and Fashion Columnist then was made redundant along with many other jobs at Fairfax NZ. 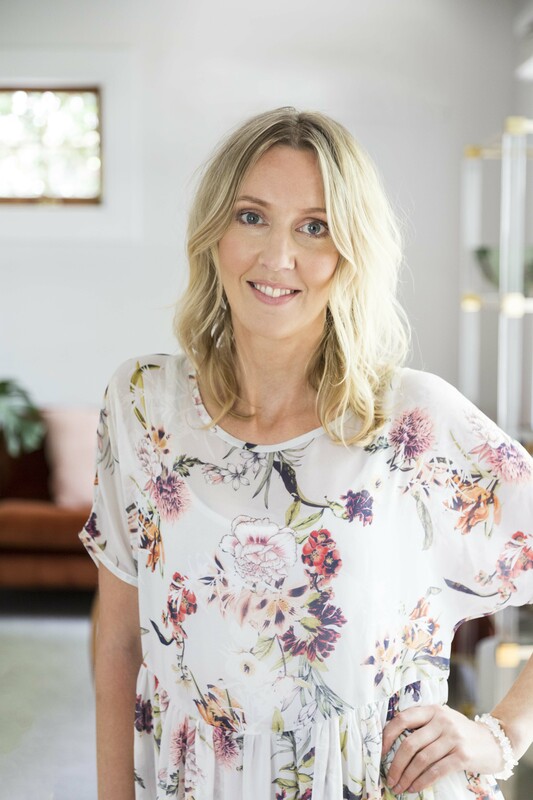 Justine’s relentless zest and ability to turn great ideas into dollars later saw her pitch and create from the ground up Fairfax’s popular regional lifestyle glossy, Admire magazine just one day after being made redundant. She got the gig and turned a large profit within the first month. She was editor, salesperson, marketer, writer and stylist for this publication, a job that seemed unachievable by the commercial manager at the time. After leaving “the big corporate life” she found her path through what she called a “gap year” where she still helped manage another successful magazine for 40 hrs a week and was a fashion editor and stylist for their Nelson and Wellington magazine. It was over this time where she was thinking of her next project, something more in alignment with her new conscious awareness. She took herself on a self-imposed solo retreat, and in lighting her own way forward the path began to come clear. “I went into solitude for a month to get clarity. I went sugar free, dairy free, meat free, internet free, everything friggon free,” she recalls with her signature laugh. This time of reflection, and reading Susan Jeffers’ famed book Feel the Fear and Do It Anyway, in 2015, Justine’s current business, (although now very different) Lustre Collective, was born. Building a new business while still working at a successful magazine was not without its challenges, however. Life decided to throw Justine another curveball just as she embarked on the Lustre Collective. Spiritual training with many world renowned spiritual teachers and growing her significant healing and intuitive abilities, embarking on a rapid ascension (“I was addicted to spirituality...I did over 50 healings and workshops in one year!”), and battling a momentous business betrayal, lead Justine this year to become an identity coach - “because no one can truly steal your identity”. It was during this time of challenge and transformation, where Justine became utterly depleted from healing others and confronting her own past emotional trauma. Today, now aged 36, Justine brings her incredible array of talent and experience - marketing, writing, design, business, event management, energy and intuitive abilities - to her work with conscious entrepreneurs and lightworkers. She is passionate about communicating her clients’ conscious businesses to the world, and ensuring all the energy they spend on their businesses is in alignment with their purpose. And there is no night off for Justine, where even dinner out is an opportunity to transform. “The best thing I have done is convince a billionaire, who made his money from building skyscrapers, to build wellness retreats, and I did this on a date, just by talking about my passion for healing the world,” she laughs. Justine loves The Workshop for its daily opportunity to collaborate with people and collectively create something greater than themselves. “We’re all so creative and I think: ‘What can we create together and so I am creating with a lot of other businesses here’”. And resident dogs Peg and Bear love you too, Justine!